As you complete online application forms, you may find a field marked “Cover Letter (optional)”. Most applicants will see the word “optional” and buzz right by that field. Now, you could leave the field blank too, but do you really want the hiring manager to see you like “most applicants”? While you may not relish the idea of writing a cover letter, it really can set you apart from the other applicants! Right off the top, taking the time to write a job-specific cover letter will show the hiring manager (HM) that you are very interested in the job and will go the extra mile to ensure you are considered. Immediately, the HM will get the impression that you are willing to go the extra distance to accomplish the task and isn’t that exactly the impression you want to make? Let’s face it, even if you’ve had a really exciting work history, resumes are generally pretty boring and rarely give the HM a sense of who you are. Your cover letter is a chance to give the reader a glimpse into your personality, so be sure to use your real voice to help them “see” who you are and not just what you can do. Many people have gaps in their resumes. Some have been raising children or caring for aging or ill family members, others have retired and are returning to the workplace, and in the case of Military Spouses, the constant moves can leave a resume looking like Swiss cheese. Whatever the reason, job seekers with gaps in their resume often worry about how to explain them. 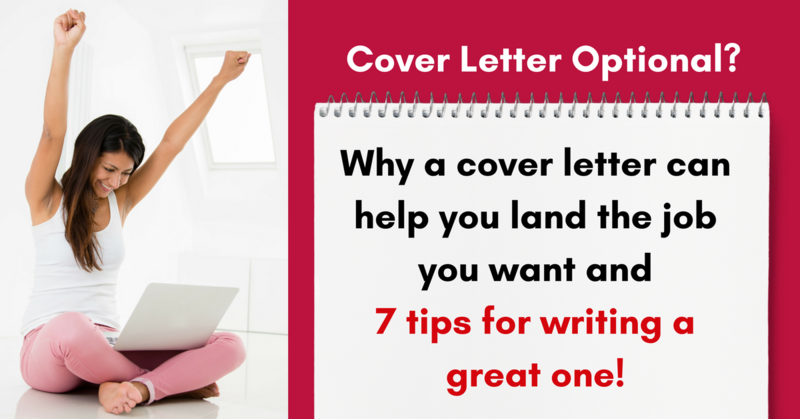 The cover letter is the perfect place to do that. 1. Write a resume and, where the post-retirement gap appears, add “World Traveler” as a job title. 1. Keep your cover letter brief. One page with no more than five paragraphs is ideal. 3. EDIT! You’re better off with no cover letter than one that’s filled with typos and grammatical errors. If you have a friend with a good eye for editing, run it by them as well. While the HM might empathize with your situation, they may also be thinking about how well you’re really going to be able to focus on your work. The purpose of your cover letter is to sell yourself to them by telling them what you can do for them, not the other way around. 5. Don’t apologize for your perceived skill gaps. “I don’t have all of the skills you are asking for, but I am a fast learner…” Don’t go there. 6. Spend a few minutes looking at the company website. Understanding the culture of the company can help you write in a tone that will resonate with them. That’s it! I encourage you to take the time to sit down and draft a template cover letter that you can edit for each position you apply for. Best of luck to you in your search for the perfect work from home job. For job leads, see our Newest Jobs & Gigs page. To be the first to hear about jobs and other posts like this one, like our Facebook page. Good luck in your work from home plans! This entry was posted in Work at Home Jobs and tagged cover letter. Bookmark the permalink. ← Work from Home Data Researchers Needed for the Cannabis Industry, 20 Hrs./Wk.